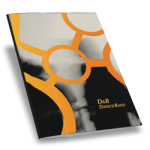 D&B offered legal assistance within and without transaction by performing legal due diligence, both for sell-side and buy-side, over target companies in various industries, such as: consumer goods, telecommunications, banking, IT and media, with the purpose of identifying the significant issues regarding the company’s business, in order to obtain a clear image of the legal situation of the company. D&B provides legal assistance regarding the structuring of the transactions consisting of drafting legal opinions on the identified structuring alternatives in a specific case, assisting the client in view of choosing the most advantageous structure of the transaction from a legal perspective (i.e. from the perspective of the acquisition and of the sale), as well as assistance with regard to the implementation of the related structure.